I am participating in this post on the behalf of 'Cans Get You Cooking' through a compensated campaign with Mom It Forward. A while back, I was invited by Mom It Forward to be a Canbassador. Being somewhat of a lazy cook, who has limited time in my day to devote to cooking, I jumped at the chance. Why? 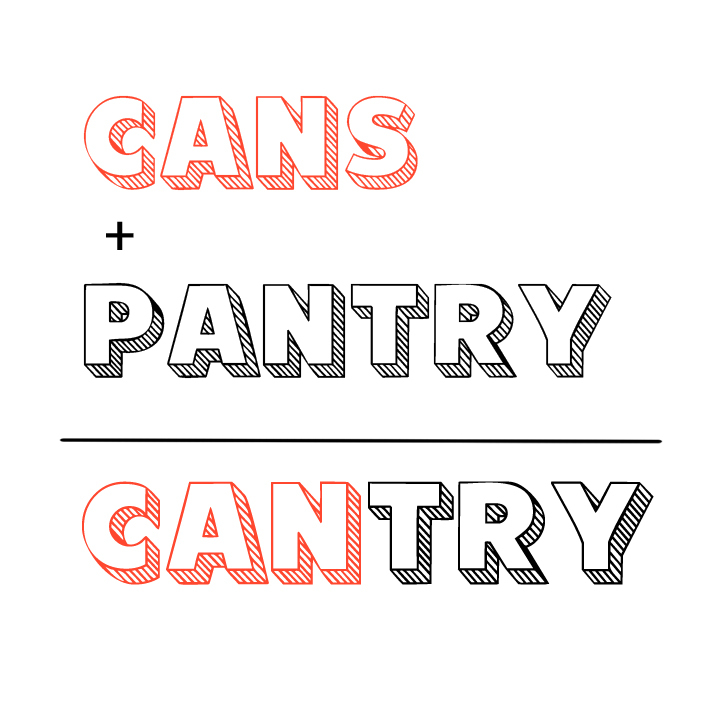 Because cans make cooking easier and so much faster ya'll! A lot of the meals I cook at home feature at least one item from a can, including many of our favorite crockpot meals! 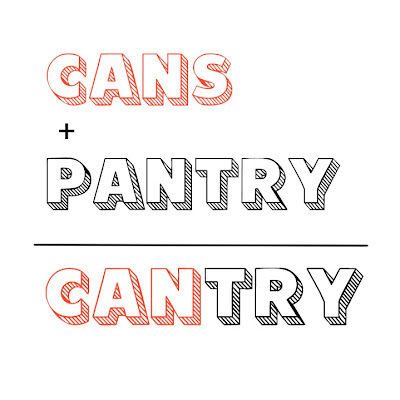 So, sharing my love of cooking with canned food and how my pantry is always fully stocked with cans, making it a verifiable cantry, was a no brainer. When you are running short on time, few things can help you out of the "What's for dinner" bind than a few canned goods. The Cans Get You Cooking Pinterest and Facebook pages are great places to go to get inspiration and recipes for quick meals made with canned goods. In fact, the majority of our vegetables are canned, because when I buy fresh I constantly forget about them and we end up throwing away a lot of produce each week. Evidently, I am not alone in that fact, apparently 73% of Americans throw away spoiled fruits or vegetables two times per week! Not only that, but the fruits and vegetables in canned goods have been found to be just as healthy as fresh or frozen produce. I wanted to share an original recipe made with canned goods, so I put together a recipe for a pake. If you've seen Drop Dead Diva, you would know a pake is a mix of a pie and a cake, but I didn't know it could exist, until I whipped up this recipe. This yummy treat has the consistency of a pie, but in cake form! Step 1: Preheat oven to 350 degrees and grease a large rectangular baking dish. Step 2: Combine all of the ingredients for the pake mixture in a mixing bowl, and blend on high until smooth. Step 3: Pour the mixture into your greased baking dish and bake at 350 for 40 minutes. Check the center with a toothpick to make sure it comes out clean before removing your pake from the oven. Step 4: While the pake is in the oven, melt a 1/4 c. butter and mix in 1 1/2 c. powdered sugar and two tablespoons of milk until smooth. Add in Almond extract and mix for a few minutes longer. Step 5: Let the pake cool from the oven for a few minutes and then poor the glaze over top. Let sit for several more minutes and allow the glaze to set before serving. 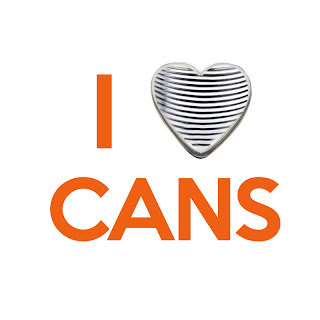 Want even more ideas on how Cans Get You Cooking? Visit their Youtube page for some great videos! 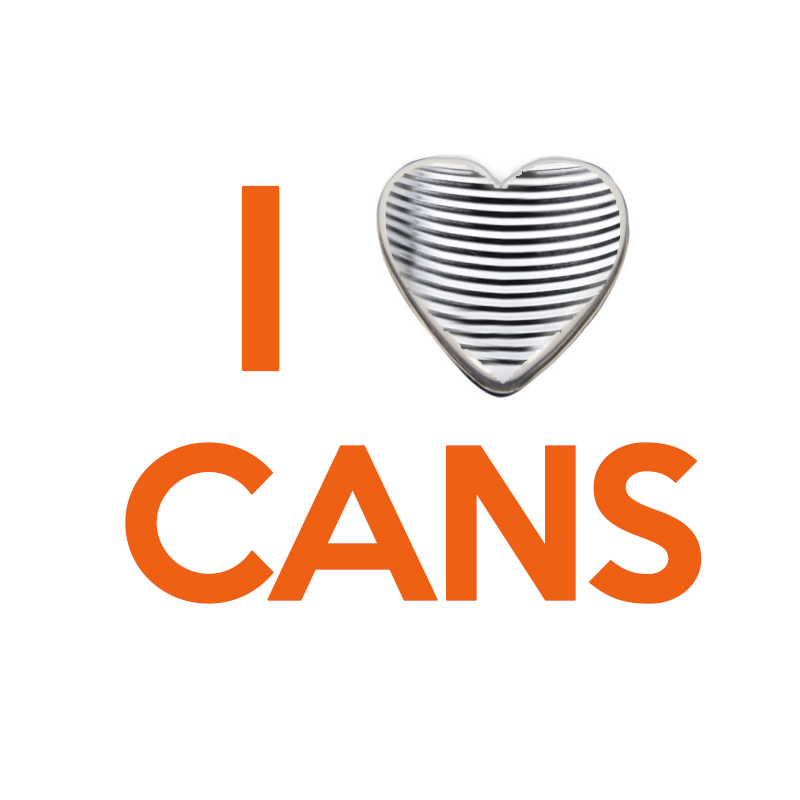 What is your favorite meal to make with canned goods? Well, I never heard of a pake until just now. Looks good. I'm all about easy in the kitchen and love canned stuff too. I want some pake, sounds yummy! As a Drop Dead Diva fan, I LOVE that you made a pake and that you watch the show! I need to try this. 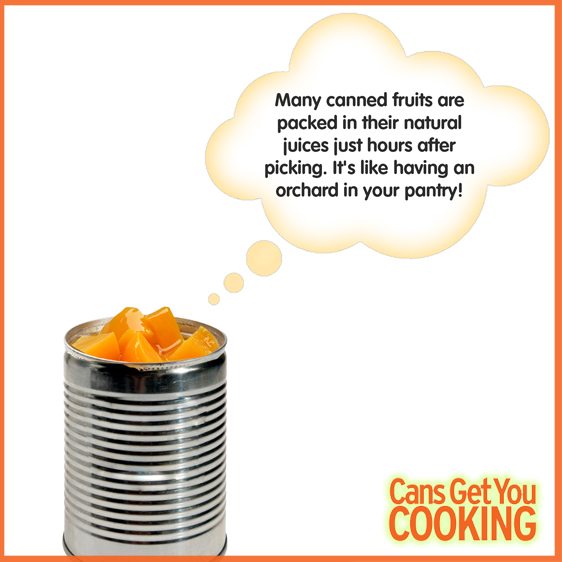 I use a lot of canned veggies, because it's quick, easy, economical, and nutritious. I've never heard of "pake" before, but love pumpkin... so I'm going to try this soon. LOL a Pake... that's something new! I have never heard of a pake but the recipe looks great! Never saw Drop Dead Gorgeous or heard of Pake, but I've definitely been missing out! hubs would love this! 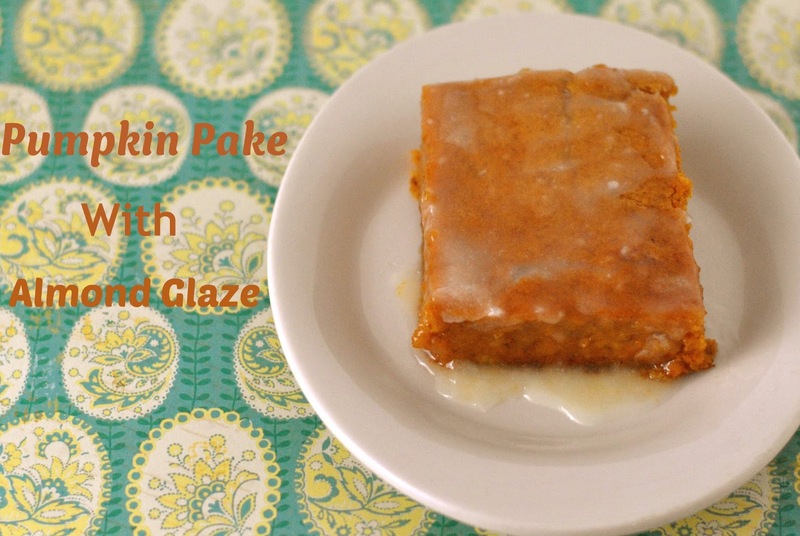 I love pumpkin and this recipe sounds delicious! I had not heard of pake but now I am very interested in trying it. This looks very interesting! I'm not a HUGE pumpkin person but this recipe sounds good enough to give it a try! The pumpkin cake with almond glaze sounds amazing! That looks so yummy. I'm going to have to try that! Ha ha - I thought at first you misspelled, poke or cake - but I get it now! I love having canned foods on hand. I always have canned vegetable broth in my pantry for moisture in cooking recipes and canned vegetables are great because I don't have to think ahead to make them with dinner! I like to make chili with canned beans that have been rinsed. So much easier than soaking the beans. Your recipe looks yummy and very "fallish"
I'm sure I open at least one can a day every day. If I make chili, I'm opening about SEVEN! This recipe flavor combo sounds so scrumptious! If there is one thing I absolutely love about fall it's cooking with pumpkin! I will definitely try this for thanksgiving maybe. Holidays definitely. I don't use canned foods all that often, but that dessert looks yummy!